An intimate portrait of Handel’s life and inner circle, modeled after one of the composer’s favorite forms: the fugue. During his lifetime, the sounds of Handel’s music reached from court to theater, echoed in cathedrals, and filled crowded taverns, but the man himself - known to most as the composer of Messiah - is a bit of a mystery. Though he took meticulous care of his musical manuscripts and even provided for their preservation on his death, very little of an intimate nature survives. Johann Sebastian Bach is one of the most unfathomable composers in the history of music. How can such sublime work have been produced by a man who (when we can discern his personality at all) seems so ordinary, so opaque - and occasionally so intemperate? 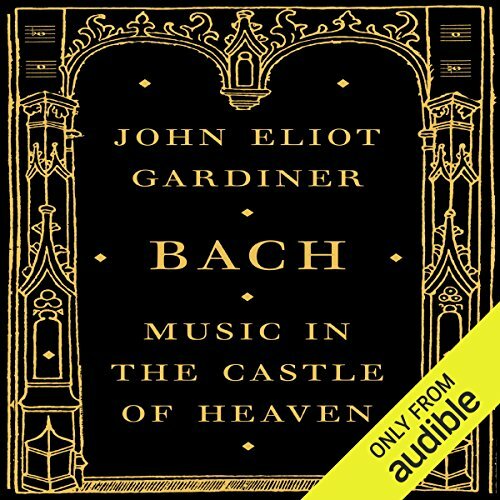 John Eliot Gardiner grew up passing one of the only two authentic portraits of Bach every morning and evening on the stairs of his parents’ house, where it hung for safety during World War II. He has been studying and performing Bach ever since, and is now regarded as one of the composer's greatest living interpreters. 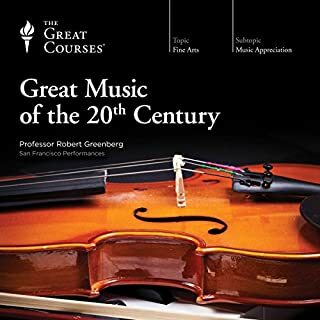 The fruits of this lifetime's immersion are distilled in this remarkable book, grounded in the most recent Bach scholarship but moving far beyond it, and explaining in wonderful detail the ideas on which Bach drew, how he worked, how his music is constructed, how it achieves its effects - and what it can tell us about Bach the man. Gardiner's background as a historian has encouraged him to search for ways in which scholarship and performance can cooperate and fruitfully coalesce. 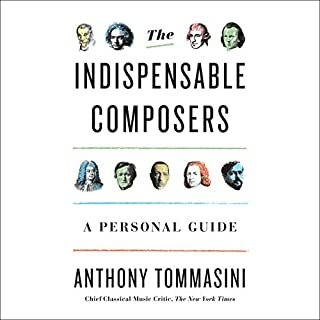 This has entailed piecing together the few biographical shards, scrutinizing the music, and watching for those instances when Bach's personality seems to penetrate the fabric of his notation. Gardiner's aim is "to give the reader a sense of inhabiting the same experiences and sensations that Bach might have had in the act of music-making. This, I try to show, can help us arrive at a more human likeness discernible in the closely related processes of composing and performing his music." It is very rare that such an accomplished performer of music should also be a considerable writer and thinker about it. John Eliot Gardiner takes us as deeply into Bach’s works and mind as perhaps words can. The result is a unique book about one of the greatest of all creative artists. ©2013 John Eliot Gardiner (P)2014 Audible Inc.
Gardiner's brilliant investigation of the man through the music is thrilling and moving. Ferguson's reading could be worse, but not much. His intonation is generally passable, but he is clearly not competent to read this book. 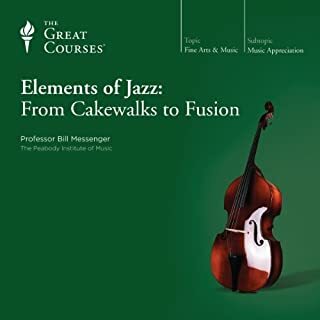 Technical music terms, but also multisyllabic academic expressions flummox him, receiving weird emphases and pauses that force the reader to guess what is really being said, not to mention disrupting the illusion that the reader is speaking with understanding. That's not even to count the sporadic errors like "Bach finds the means to take the string out of the aggression". Worst of all is his pronunciation of German, which is crucial to a biography of Bach. One wonders why Ferguson didn't look at the text and just decide that it would be too embarrassing: Either he should pass on the job, or spend an hour or two at least learning some of the basics of German pronunciation. He sounds like a computer programmed to pronounce English written text, fed with German writing and just ploughing through it. It would be barely less comprehensible -- and less disruptive to the reader -- if the German expressions and texts were simply cut out and replaced with silence or white noise.. I listen to about three books a week, so I have a broad experience in the varying qualities of books of various genres. I've listened to longer histories, Toland's biography of Hitler, for example, and I have to say that this history of Bach must be one of those books that just needs to be read, not heard. The narration is very precise, which does not necessarily equal pleasant reading. I ended up returning this book, simply because there was not enough movement in the narrative to maintain my interest. I did appreciate the scholarship in this book, but it does not make for interesting listening. Did Antony Ferguson do a good job differentiating all the characters? How? Could you see Bach being made into a movie or a TV series? Who should the stars be? Gardiner's book is fascinating, personal and based on current research, but it would be hard to imagine a reading that was less cognizant of musical or theological terms. In nearly every paragraph, the reader mispronounces terms in Latin, Italian, German and even English! It was infuriating at times, making it a struggle to listen to the end. I'm trying, as an adult beginner, to learn something about music by taking violin lessons. Even playing a few Bach things, on an elementary level. The instrument is a beast and I was hoping to glean some insight into the musical process by listening to this tome. Unfortunately, this is the second book I have had to abandon. (The first, "The Night Circus", was ended mid-listen because of lack of plot movement and character development -- it was a novel, unlike this history/biography. That abandonment was due to the author's superficial approach to the novel's structure, unlike this book's profile: way too technical and fathoms too deep for my understanding.) So alas, "Bach: Music in the Castle of Heaven" is too esoteric for me, a mere musical bimbo, wanting to hear about a genius I have only recently begun to appreciate. Someone who has a firm foundation in musical studies and performance will probably find this book accessible. I was unable to intellectually crack the musical terminologies and references to Bach and other artists' works-- through my own unfamiliarity, not because the book was poorly written or faulty in its structure. I often thought while listening that the one advantage of this audio production was (maybe) the musical references should have actually been played and incorporated into the text since there would be a reference to a passage, not only by Bach but by some other composer, and I would be lost. I just didn't know the piece and the thread of purpose in its mention was meaningless to me. I don't know German, either, so there was nothing to forgive on my end for mispronunciation of German terms by Mr. Ferguson, something mentioned in other reviews. But that was me. If you know music and didn't study French for your art history degree, you might really get into this work. Because chewing through and ingesting this information is real work. And by the way, great title, Mr. Gardiner. The author is a well known Conductor in England. He is the founder of the Monteverdi Choir and the English Baroque Soloists. In some ways this book is an autobiography of Gardiner and his search for information to understand Bach, wrapped in a biography of Bach. The author writes in a lively, conversational style. Gardiner has done an excellent job of painting us a picture of Bach considering how little information about him is available. Antony Ferguson does a great job narrating the book. This is a wonderful and thorough book ruined in this instance by a bad narrator. He has the annoying habit of halting before German words or phrases, and his pronunciation of words such as "Thuringia" is inconsistent throughout. It is all the more disappointing after hearing such flawless narrators as Grover Gardner and Simon Vance. I hope this is re-done, because I would like to enjoy it in audiobook form, but not like this. Better read than listen to this one! For a book about a musician, this book has the least musical narrator I've come upon. His accent is so uneven. Is he British? Aussie? American? When he is quoting something where a slight to the source is implied he seems to put on an American southerner accent. Well, the question alone of what he was trying for with this strange mix of accents is quite distracting. I really feel like he ruins a most excellent book. John Eliot Gardner's writing dances along like his conducting a Bach Cantatta. To bad the narrator has not the least lilt in his voice to accompany such a soaring narrative! I loved the narrator's moderate British diction. He failed, however, to render the frequent German titles and phrases in a consistently accurate pronunciation. He seems to know that "ei" is different from "ie," that "v" is spoken as "f" and "w" as "v," but he rarely succeeds in getting it right. Probably he took a couple of years of college German and passed at the bottom of his class. This is a wonderful book. Not a traditional biography, but with plenty of insight into the music from a famous conductor who turns out to be a great writer, too. However the narration by Anthony Ferguson is pedestrian. He’d be entirely fine with a book that has no foreign words. However, the production on this “Audible Only” recording is unbelievably shoddy. There are - surprise! - many German words in this book, as well as Latin, Italian, and French ones. Mr. Ferguson renders the German words unintelligible, butchers the Latin, mangles the names of French composers, and can’t even get some of the musical terms right. A trip to the dictionary could have fixed many of these errors. It’s the “we don’t care” attitude from the entire production team I find most lamentable. No quality control. Did anybody listen to this? Apparently the Hollywood-movie-approach was applied. The words sound foreign, so it’s good enough. In my opinion, a disservice was done to this book. I enjoyed it; learned a lot. Listening to Bach’s sacred cantatas as well, so this is helpful info. Yet, it’s mostly analyzing Bach’s sacred music and not too much depth about his life really. Still, I’m glad I listened; thanks. A wonderful book written by one of today's leading authorities on Bach. But my God , the narration - probably the most wooden I have ever heard. It actually sounds like one of those computer generated narrations at times. Eventually, I purchased the print book; it was the only way to really enjoy it. What did you like most about Bach? What didn’t you like about Antony Ferguson’s performance? Was it read by a computer? Pace, pronunciation, emphasis all shows ignorance of the subject matter, and no effort to understand the meaning of what was read. There are many excellent out of work actors who should have done the reading. Profound insights from the author. I was unable to listen beyond the first couple of chapters because of the appallingly inept narration. I am in agreement with the previous reviewer as to why it is so. In addition, I found the insertion of dates for every person mentioned to seriously interrupt the flow of the narrative. It may have been preferable to omit these. When reading the print version, which I intend to do, it is easy to skim over them but when spoken out loud they jar. This is a dense book written by someone who knows Bach and his music better, I suspect, than anyone else. 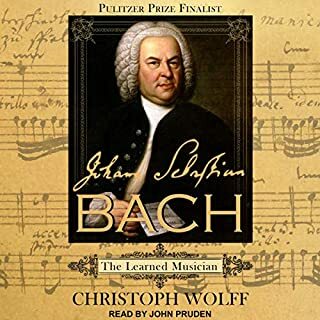 As he says at the beginning, there is little factual known about Bach and this book is an attempt to understand more about the man through an analysis of his historical and musical context and of the music he himself composed. This is a book that needs to be well read. There are quotes in French and German and many foreign names. Unfortunately I have not been able to make it beyond chapter four and I'm going to continue reading it as a book. This is because the reader is just appalling. He makes half the words sound as though they are written in quotation marks, his pacing and intonation is often is wrong and he mispronounces common words and on one occasion the name of a well known musician. He is obviously making an effort over the short French and German quotes and the foreign names. He sounds as though reading the book is difficult, a real strain for him and he would rather not be doing it. It sounds like a task given to a schoolboy, not the performance of a professional. I didn't want to believe the other reviewer who said the reader was so bad, as I really wanted to listen to this, but he was absolutely correct. A great disappointment and a performance the book certainly does not deserve. I have given it one star overall because the reader was just so poor. If this had been read by someone who could bring the story alive this would have improved the product no end. J E G is a passionate person, this narration is like someone reading the phone directory aloud. Would you ever listen to anything by John Eliot Gardiner again? Yes, if the audio product was produced by people who care. Would you be willing to try another one of Antony Ferguson’s performances? If there's a talent for turning a highly interesting book into something that's an audio flop, audible have found the correct people in the narrator / producer of this audiobook. At least pronounce Bach correctly please!! What would have made Bach better? Having a reader who had a working knowledge of the classical music world-several misprints(?) Trevor Pincock?? Trevor Pinnock surely. And as mentioned above the name Bach is not the same as the noise made by a dog! Morally Audible ought to re-record this one!! This is one of the very best books available on the subject and is of massive value to specialists and general readers alike. 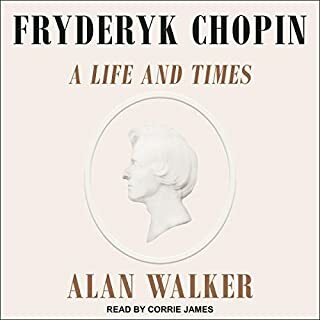 Not for the first time for Audible Inc. recordings (see also John Julius Norwich's book about Shakespeare's Kings) a great book is WRECKED by the choice of a narrator who demonstrates not the slightest familiarity with the subject matter. In this case, a book full of German, Latin and Italian names, places and musical terms is narrated by someone who has taken no trouble at all to master the fairly easy rules of pronunciation. He reads it like a robot. Was any editorial care taken at all? I think not. A massive lost opportunity and a true disgrace. I would have thought that hundreds of proficient readers could have been found who would have done a much better job for about £2000. As the author points out, Bach biographical sources are largely exhausted. But Gardiner's approach is new, and wears its exceptional learning and scholarship lightly for the non-specialist reader. As for the narration, I began to think that it had been computer generated from a not-quite-complete word list recorded by the narrator. This would explain the wooden quality, the peculiar pauses, some of the more glaring mispronunciations and the occasional occurrence of wrong emphases. The narrator is well-reviewed in other contexts, so the poor reading, much commented upon by other reviewers of this audio book, remains something of a mystery. The content, however, is excellent and highly recommended. As a person who has played a large proportion of his clavier music, I feel I have a musical connection with Bach. This book widen that connection significantly. 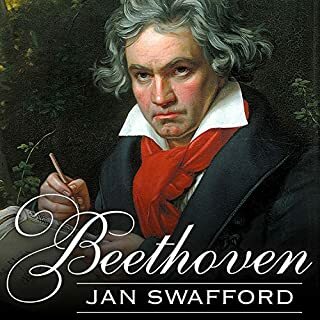 I am an owner of his excellent cantatas recordings, which I listen to often, and a large proportion of the book discusses these in the context of his life. It can get rather excessively nerdy which detracts from the narrative. As a whole, the book expertly delves into Bach's environment and motivations and I now feel his presence even more when playing his music. When it comes to the reader, yes, it's dire. But as a person who lives in England I can sympathize with the choice; I think they were going for authoritarian scholar which somewhat works. However, as another reader said, it might be best to read this book rather than listen to it and I'm sure your German enunciation is far better. Its clear that the narrator has no clue about the subject with so poor German, French and Latin translations. A bit of preparation is advisable..